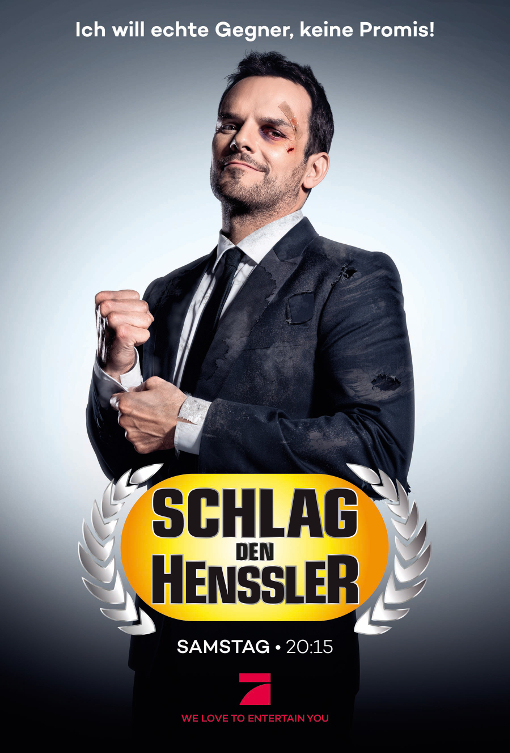 Schlag den Henssler is back, and a plucky contestant will be attempting to win a €250,000 by besting celebrity chef Stefan Henssler over 15 mystery events. This commentary is going to be a bit different, as three quarters of the usual presenting team will be running around London solving puzzles. However! Scott Rux has offered to step into the breach and provide a commentary of his own. What’s gonna happen? Watching the live Pro 7 stream might be a bit more difficult than it has been previously. Please refer to Scott’s Twitter for the commentary feed. The Opera VPN has apparently stopped being useful for SdH. Bother’s Bar recommends shelling out for a proper VPN service. Bother’s Bar uses Tunnelbear, other VPN services are available. Matt Clemson recommends Windscribe as a free alternative. We cannot take responsibility for anything you do to your system, so be careful and use some common sense. Meanwhile German Game of Games starts tonight (Friday) on Sat 1. Game of Games began last week – tonight’s was the second episode! I should post more.. to say I actually quite enjoyed this adaptation – its pretty much the same idea and keeps much of the same fun and feeling of the original. Yes! Fair enough, I was about to watch German Boyard and discovered it was about to start 20 minutes later and didn’t see an obvious link to ep1. Would agree it’s a good adaptation. The format is basically the same, except there are five games, five winners reduced to four to play Know or Go with two rounds of Blindfold Musical Chairs. It also looks like Know Or Go becomes sudden death penalty shootout when it gets down to two people, rather than single mistake knocks you out. Does anyone have any more information on it? Discord Stream is live. Check the hashtag for more information! This was great fun thanks Scott, might see about sorting out similar for next time. Henssler won last night. And Elton jumped in the pool. It felt more entertaining than the last couple of episodes, but it also felt like a show trying to save itself from the chop. The viewers responded in kind. Not the lowest total audience, but the lowest total share ever. Lowest in both audience & share. That might swing Pro7’s minds, the first time the format has gone below 10%. The next episode is sometime in December and, judging by the audiences, I think it might be the last. But up against Got Talent, a quiz, a film and a drama, that’s quite a battle. It’s not like you’re lacking entertainment elsewhere. The fact it’s as low as 0.57m and 7.9% will hurt. Most primetime shows doing that kind of number don’t survive. They(‘ve) see(n) it as bulletproof, something that can take on any competition, but not anymore. For example let’s take Schlag den Star on 16th Oct 2016. * The subbing team from Reddit who got on it early on released their subs of the first episode – that’s independent of the TvN Asia subs. I can’t find a formal release post so I don’t know for certain if it’s a complete set of subs or just ‘everything they’d done’. * TvN Asia’s subs are also out, and have been ripped as softsubs – but as I write, only the first episode’s been ripped, and I gather they ran a double-bill last night. So: The first episode is out in two forms, the second one *should* be imminent but isn’t currently. I don’t know if the established subs team (“The Great Subs”) will be sticking with it given TvN Asia’s involvement, it’s quite hard to actually find where they’re discussing things! they have confirmed they will continue despite the tvn subs. So I watched the first episode and… it started slowly, I’d say, being polite. There’s a team of six exploring what looks like it might be an entire escape warehouse with dozens of elaborate rooms and at least one interesting transition between them. However, in terms of interesting puzzles and interesting content, it’s not off to a good start. It’s off to an easy-to-follow start, but already way behind Geek and Sundry Escape! and Race to Escape. It makes me wish that they had used the potentially superb set for the final of the Red Bull Mind Gamers, letting the finalist teams absolutely rip through the rooms as if they were on Fun House or Finders Keepers. Maybe it’ll get more interesting, but it’ll need to do so quickly to keep me on board. The tvN subs for the second episode (or rather, the second half of the first escape, I guess?) are now available from Subscene. It does pick up the puzzley content, although it sometimes feels a bit like they make a beeline to the puzzles and we don’t get a moment to be immersed in the environment – we only really got *that* from the very first room… and that was quite a dull one! I’m a little bothered by the linearity; while there are incidents of returning to the earlier rooms, it does feel very much like there’s only one puzzle available at any given time to work on, which does make things feel a bit mechanical; indeed, one sequence that springs to mind (preparing some lunch – not actually formally a puzzle!) was rather more appealing because there were some organic problems that arose from it. Given what we’ve observed some of the other Korean series we’ve seen, I do wonder if it’ll adapt as the series goes on as they figure out what works and what doesn’t. Watched the first double episode, will write something tomorrow. As someone who really enjoys a show where the location is a character I quite dug it even if it felt like rather a slow start and as such I’m intrigued to see what happens next. I quite like the contestants, I would suspect the interplay is likely to be the greater focus than the puzzles but we’ll see. Well… gosh. There’s still another episode scheduled for this year, right? GIVE US SCHLAG DEN ELTON. “Television means constant change – for talent, channels and shows. We respect Steffen Henssler’s wish to move on and wholeheartedly thank him for the good time spent together”. Jumping before he was pushed basically. December would have been the seventh one this year, is that correct? And they were only contracted for six, so would have involved a contract extension, I’m gathering. I think he would’ve been pushed, the ratings were on a downward slope. He’s had the balls to admit it though – the viewers don’t like him in the ‘Raab’ role. Respect where it’s due. December would’ve been the sixth show this year (March, May, June, August and September), which is the normal rhythm for the show. There wouldn’t be any necessary contract extension. I imagine some kind of get out clause has been used (by whom no one knows), but that would be purely speculating. What’s more bitter is that after Time Battle was cancelled, it’s the second Saturday night show to be cancelled by Prosieben in a month. The Australian version of Beat the Star was a celeb vs a family of 4 or 5. It got canned after 4 episodes, but it wasn’t solely down to the format. ‘Schlag den …’ is such an iconic show for them, that it’s not really something that can be changed. The one-on-one format has an intensity, that’s proving to only be reliant on “Raab vs a contestant”. Six live Schlag den Stars next year apparently. And an episode on 8th December.